Neurodegenerative diseases include Alzheimer’s, Schizophrenia and Parkinson’s can now be treated with a new chemical molecule being used in drugs by Suven Life Sciences. The drug firm has been granted the patent rights in China, South Africa, and Mexico for a new chemical molecule; to treat the cognitive disorders. 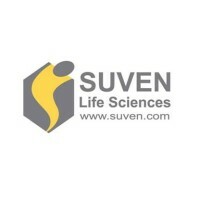 These patents are the sole propriety of Suven Life Sciences and have been discovered after a thorough internal research and medical investigation. These patents are valid up to 2031, with the small exception of South Africa extending the validity till 2030. Now, Suven has a total of 16 granted patents from China, 19 from Mexico and 22 from South Africa. In a BSE filing, the company said that it “secured patents from China and South Africa to the new chemical entities (NCE) for central nervous system (CNS) therapy”. “Products out of these inventions may be out-licensed at various phases of clinical development like at phase-I or phase-II,” Suven said. Shares of Suven Life Sciences soared in its day trade on BSE.